The Civil Services Prelims Examination will be conducted by the Union Public Service Commission on August 24 this year. The prestigious Civil Services Examination is conducted annually to select officers for Indian Administrative Service (IAS), Indian Foreign Service (IFS) and Indian Police Service (IPS), among others. The UPSC has sought various ministries assistance to spare some officers under them who can be deputed as Assistant Supervisors and Invigilators for the exam. “The Civil Services (Preliminary) Examination, 2014 will be conducted by the Commission on August 24, 2014. 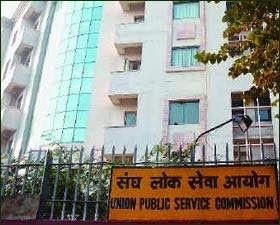 Out of over ten lakh candidates expected to apply for this examination, more than one lakh candidates are anticipated to opt for Delhi as their centre of examination,” the UPSC said in a letter to the Department of Personnel and Training (DoPT). For this purpose, about 250 sub-centres will be required. At the same time, the requirement of Assistant Supervisors and Invigilators will also be substantial, the letter said. “The Commission would be requesting various ministries or departments of Government of India, including their attached and subordinate offices in Delhi, to spare the services of the requisite number of Group ‘A’ and Group ‘B’ officers, for performing the duties of Assistant Supervisors and Invigilators, in the aforesaid exam,” it said. The officers thus deputed to the Commission will be paid honorarium by the UPSC for their services, the letter added. The Civil Services Examination is conducted in three stages–preliminary, mains and interview. According to a tentative time table, the Civil Services (mains) Examination, 2014 are slated to be held on December 14.